Dessert isn't something we have at our house every night of the week. So, when we do get to have a sweet dessert, you can guarantee that the kids want something that is really good. Cookies, cake, brownies and ice cream are a few of their favorite sweet desserts. Most people have a favorite cookie, but I just love cookies in general. Sweet Andy's Cookies come in 12 different varieties and my family recently devoured 6 of them. The cookies came stacked and wrapped in cute little bags. Each clear plastic bag was labeled with their cute logo, cookie flavor and nutritional facts. The first flavor we decided to try was triple chip. It had semi sweet chocolate chips, peanut butter chips and white chocolate chips. 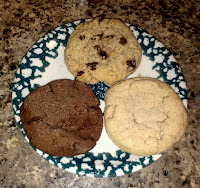 The cookies were large, plump and chewy... simply delicious! I decided to put a few bags in the freezer because I knew if I left them on the counter that we would have them all eaten in a matter of days. With 4 of us enjoying them, we could easily eat an entire bag (or more if we didn't control ourselves) in just one sitting. Each cookie variety that we tried all receive two thumbs up. We loved everything about them! 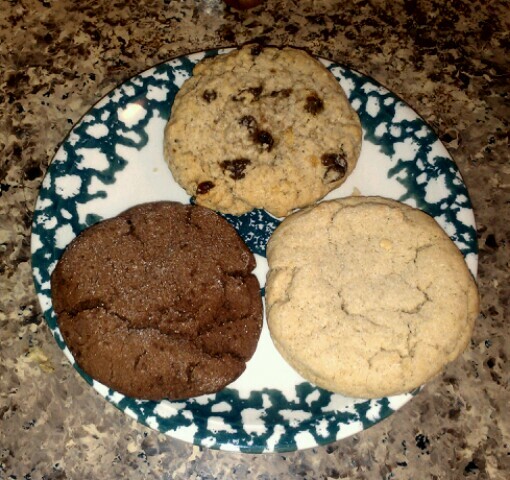 Each cookie was plump/thick, soft, full of flavor and contained the perfect amount of goodies. Honestly, they are perfect for any occasion or simply just because! Nothing Says "Thank You" better than a bag of delicious Sweet Andy's Cookies. Since their humble beginnings as a small retail bakery in Westhamptom Beach, NY years ago, Sweet Andy's Cookies continues to bake the best cookies around. This giveaway will end April 9th at Midnight EST. 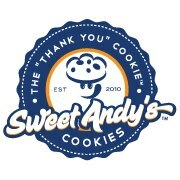 Disclaimer: I received a variety of complimentary cookies from Sweet Andy's Cookies for the purpose of writing a review and hosting a giveaway. Regardless, I only recommend products or services I use personally and/or believe will be a good fit for my readers. The views and opinions expressed on this blog are purely my own. Results may vary. No monetary compensation was received. I'd like to try the triple chip flavor. I think I would love to try the chocolate chip. I am a big fan of chocolate chip, would love to try their variety! The mint chip sounds delicious and so does the lemon! Chocolate with Peanut Butter for me! The Oatmeal Raisin would be yummy! I would most like to try the triple chip. Oatmeal Raisin would be tasty. Thanks! I'd try the oatmeal raisin. Chocolate chip followed by a close oatmeal raisin! Mint chip cookies sound awesome. I would love to try the Peanut Butter Chip! I love pumpkin anything, so I'd love to try their Pumpkin Cookies! I like the triple chip! I'd really like to try the Lemon!